"The author has endeavored to make sure it contains reliable and accurate information. However research on diet and nutrition is evolving and subject to interpretation and the conclusions presented here may differ from those found in other sources"
"Each day is thoughtfully planned out so that your need to think about what works and what doesn't is kept to a minimum." "The second thing that could theoretically happen is that by eating the same food all the time, the body becomes acclimated to eating those foods and more efficient at processing them"
"All of us, even those who eat as healthfully as possible - accumulate some level of toxins in our bodies. We want to eliminate these toxins as efficiently as possible. Sometimes livers can be overwhelmed, so occasionally it's beneficial to give them a little boost in carrying out their jobs"
"The SHRED cleanse has you eating particular foods and drinking certain beverages that nautrally activate enzymes in the liver to enhance the detoxification process"
"Think about the last three weeks as a descent into a cold dark pit. Each week you went deeper into the pit. At the end of week 3, you hit bottom." Sure doesn't sound particularly inviting to me and perhaps as a consequence, before I started crunching caloric numbers, I was expecting to see that the Shred Revolutionary Diet was highly, highly, restrictive. In fact those numbers up above are middle of the road numbers. Shred offers quite a few mix and match style options and I'd bet if picking the highest calorie options many days will easily clear 2,000. Dr. Smith shares my belief that preventing hunger is crucial to success and recommends regular meals and snacks so as to reduce our physiologic drive to eat. He also advocates for significant amounts of exercise to supplement his meal plan. If followed carefully expect to exercise between 3 and 3.5 hours weekly. 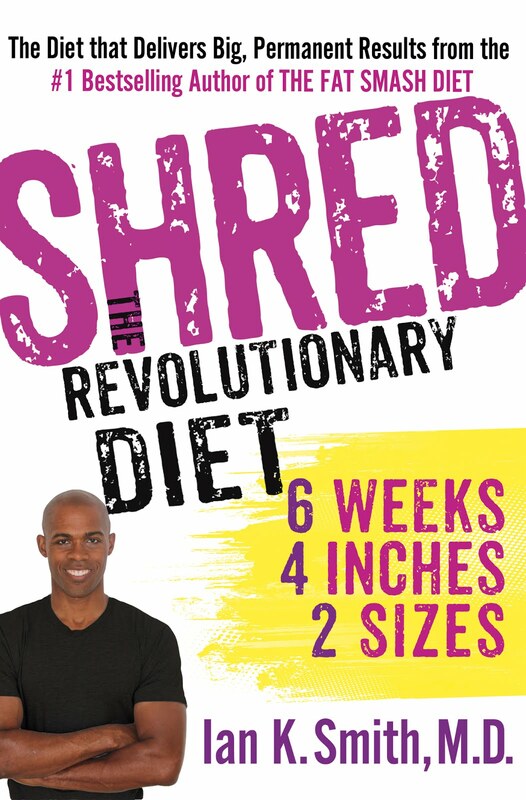 At the end of the day, interesting "interpretations" and warnings of cold dark pits aside, of all the diet books I've read this New Year, the meal plans included in Shred, except perhaps for the "detox" week, are actually pretty reasonable. If you're a woman of average height, this plan might in fact be a good one for you - that is assuming your preference would be to follow a meal plan carefully and include regular exercise. But you'd better follow it carefully because if you're not accurate with your measurements and you don't include the exercise, this plan might easily lead you to consume more calories than would lead to weight loss. If you're a man of average height, if followed carefully this plan might well leave you hungry and if you're following it make sure you add in higher calorie solid options. Both men and women following - not sure why Dr. Smith is so fond of juice. Much more sating to eat calories than to drink them - would adjust your days accordingly. Remember though - whatever you do to lose the weight, if you stop doing it, you'll gain it back. Dr. Smith recommends when you see the weight starting to climb if you've reverted to your old lifestyle post Shredding, that you simply re-initiate the program or week/s of your choice.